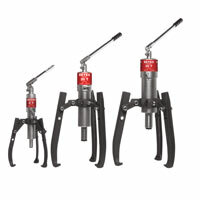 These HP-pullers are ideal for pulling a wide variety of parts including bearings, bushings, wheels, gears and pulleys. 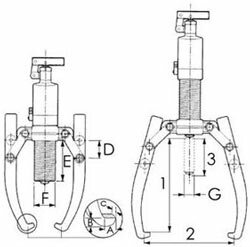 Applications for HP-pullers will be found in motor repair shops, service companies, maintenance shops, industry, mining, paper mills, chemical plants, shipping, offshore, etc. 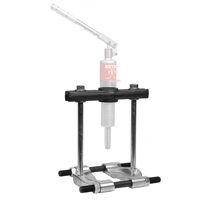 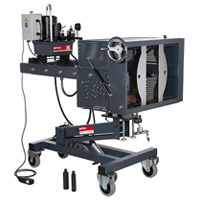 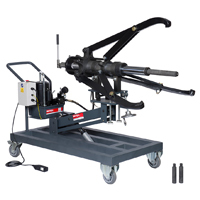 The self contained hydraulic pump and cylinder saves space, as you don't need a separate pump, hose or puller. 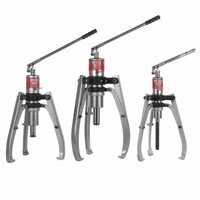 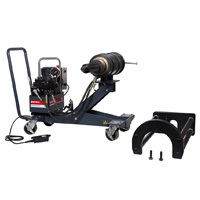 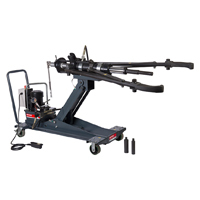 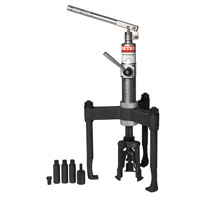 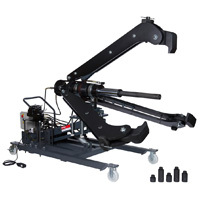 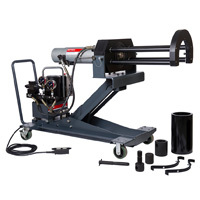 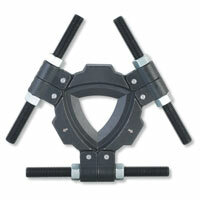 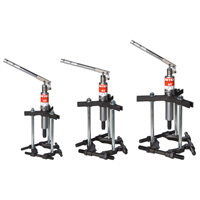 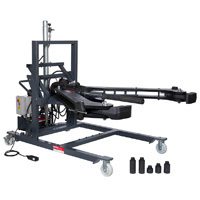 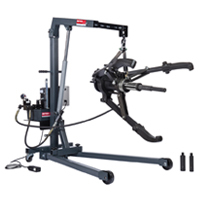 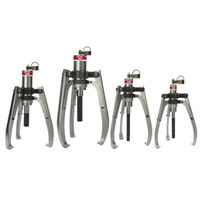 2/3-arm combination puller, 2 pullers for the price of one, including integrated pump and cylinder.